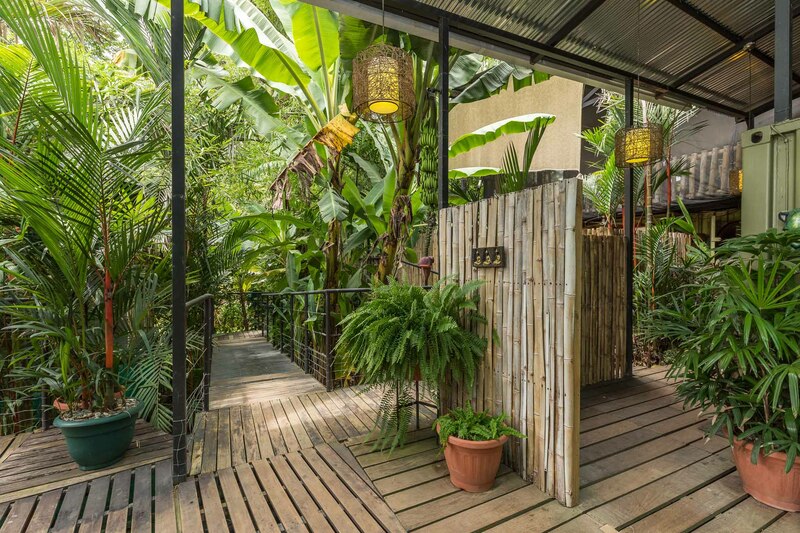 We would love to help you host an unforgettable retreat here at Danyasa Yoga Retreat Center in Costa Rica! 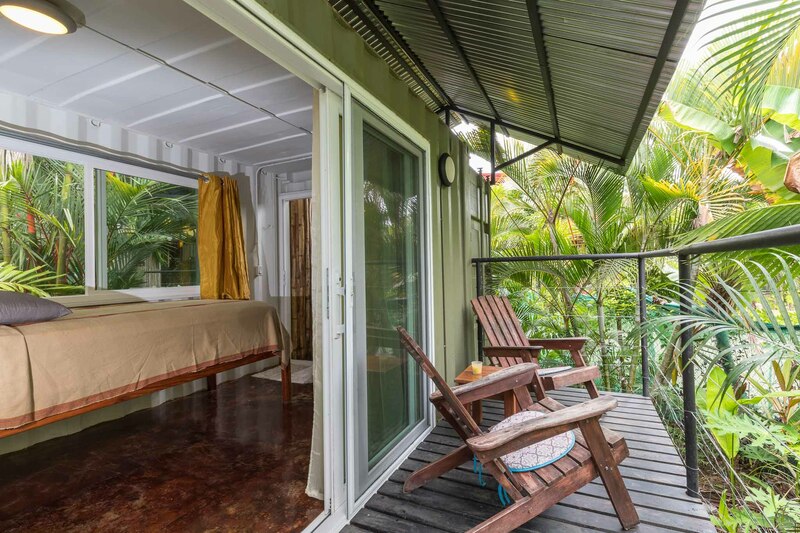 All our rooms at Danyasa are built from recycled shipping containers structured in beautiful harmony with the abundant greenery of Costa Rica. The rooms were built with your comfort in mind, and have wifi, air-conditioning, and premium bedding. Danyasa is exclusive to one group at a time and can accommodate up to 30 guests in our on-site accommodations, providing an ideal environment for intimate group experiences. However, should you wish to host a larger group, we are affiliated with neighboring hotels within easy walking distance to accommodate additional guests. 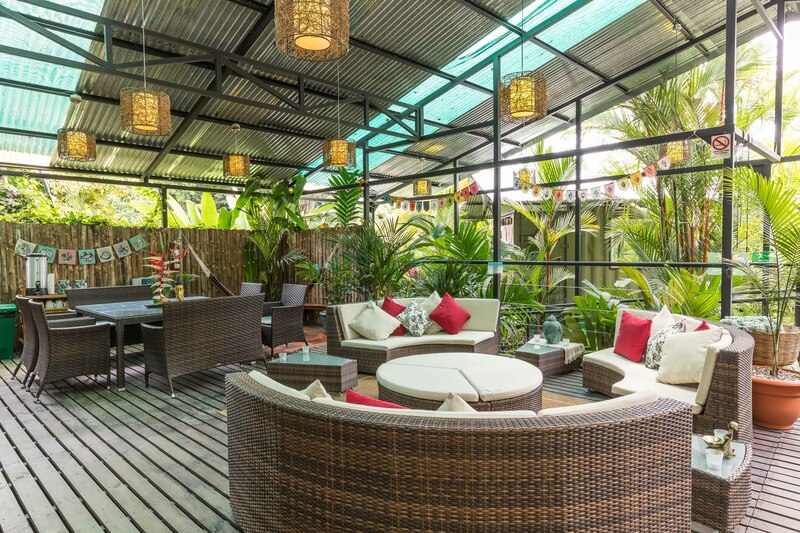 There’s plenty of space at Danyasa to lay back and relax. Our gorgeous common spaces are exclusively yours during your stay with us. Our mermaid pool (complete with waterfalls!) 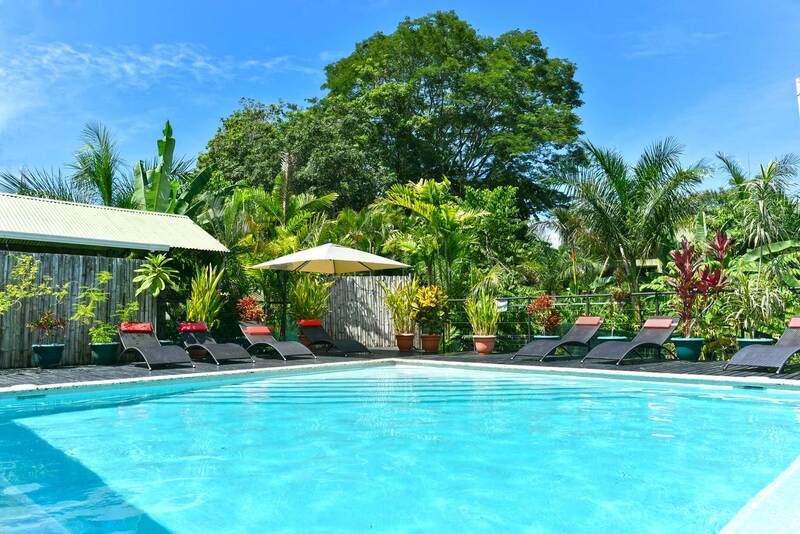 and sun deck are the perfect spot to relax in the afternoon or to take an evening swim. 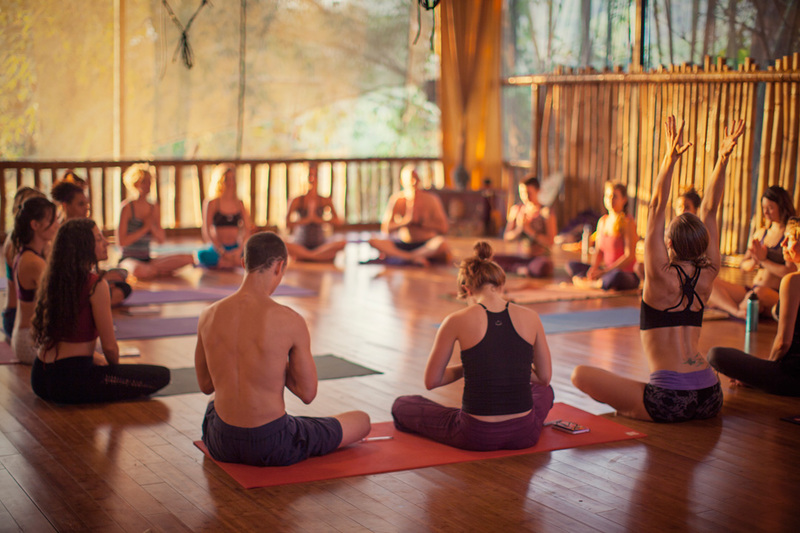 Whether your focus is a yoga retreat or training, adventure or relaxation, we are the yoga retreat center for you! We provide personalized assistance every step of the way, from sharing our practical knowledge and marketing strategies, to assisting with travel coordination, meals and group excursions. Ultimately, our goal is to provide an easeful and successful retreat experience for you and your guests. Our 1400 square foot studio boasts a state of the art sound system and the highest quality props for all yoga styles. Furthermore, we also offer 15 aerial yoga rigs and 4 stainless steel swivel poles for aerial arts and yoga classes. A soak in our gorgeous swimming pool provides a perfect post-class cool off! 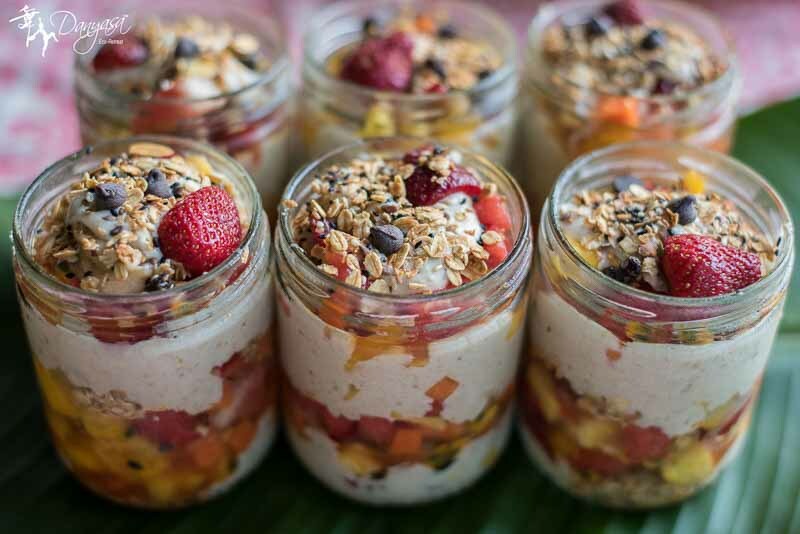 We offer catering to our retreats and teacher trainings through Edible Alchemy Foods, a nourishment focused project bringing healthy food to yoga retreats, events, and festivals. Supplied by Chef Andrea Mattson, Edible Alchemy’s ingredients are sourced from local farms using organic, sustainable methods of agriculture. Our focus is nourishment. By valuing what we put into our bodies, we output a higher energetic vibration! Should you desire help with teaching, our resident teachers are qualified to teach yoga, meditation, dance and a variety of other modalities. Numerous excursions and activities can be added on to your package, including individual or group surf lessons, horseback riding, waterfall hikes, kayaking trips, cacao ceremonies and more. Please fill out our retreat questionnaire below to get an idea of pricing and what we offer, and we’ll get in touch with you shortly after. Feel free to contact us at retreats@danyasa.com with any questions you might have.